This picture was given to the Hickman County Historical Society with the following caption. 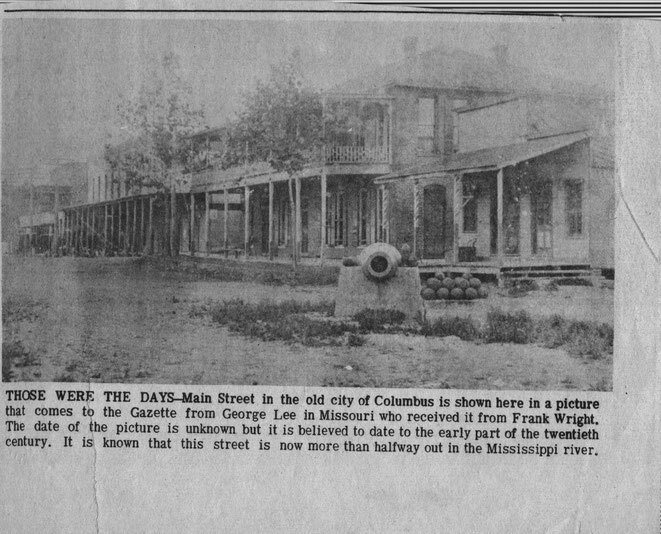 "After the Civil War the government built a Veterans Hotel at Columbus. This maybe the picture that has been called a hospital. Not sure of the exact location but the hills at the back is the bluff and the front is facing the river. The north abandoned operations in about 1868." Does anybody have any other information of about the Veterans Hotel ? We would like to more information about this structure. Any help would be appreciated. We know that this is Main Street in old Columbus, but can anyone tell us any of the names of the stores seen in the picture? Any info on the businesses of old Columbus would be most appreciated!! 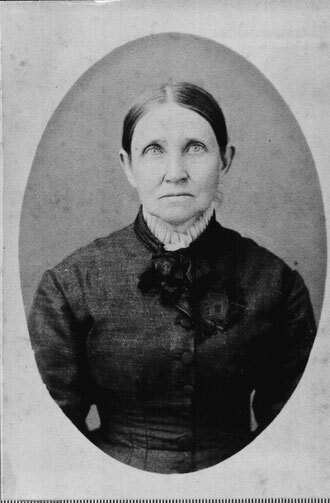 Anna Orilla Cook "Auntie Cook" (1827-1898) spinster daughter of William Cook (1782-1829) and Elizabeth Rose Cook (1796-1863). 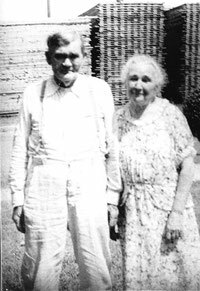 Auntie Cook was the family matriarch, prompted perhaps by her own widowed mother who survived her spouse by 34 years. Auntie Cook owned (inherited)? 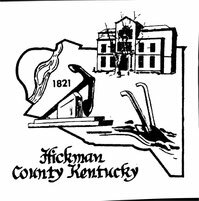 at least 3 farms in what is now Hickman County. 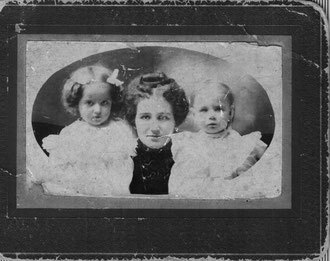 In the 1860 Census, occupants in her and her mother's home included three (her elder sister's, Mary Elizabeth Cook Sublett's) children. Auntie Cook raised her great-niece, Jensie cook after the death of her mother (Margaret Jane James Cook, first wife of John Briscoe Cook. 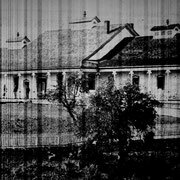 Auntie Cook's house and contents burned in 1894. 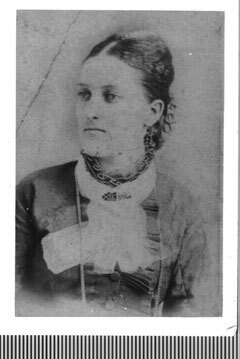 Some years later, she was brought to Muskogee, Indian Territory, staying with her niece, Ella Cook Brewer (sister of John Briscoe Cook). 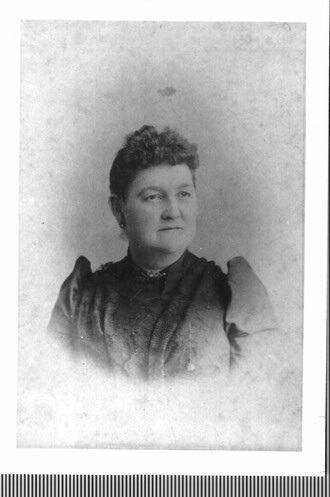 Margaret Ella Cook, eldest daughter of John Briscoe Cook) a great niece, assisted in caring for Auntie Cook in her final days of life. Upon her death, her body was returned to Columbus for burial. This was written on back of the picture when given to the Historical Society.